The year 2018 had been one of the worst for Ethereum, after the price dropped from $1,400 towards little under $270 last month, in a bloodbath that hit hard all major cryptocurrencies. 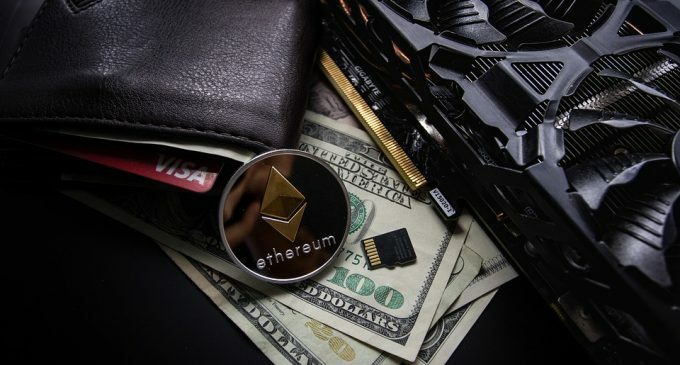 The Ethereum developers, alongside with some major investors in Ethereum had been planning for a few months some interesting updates for the system, which they believe will manage to take the system to the next level and increase its dominance into the market. As part of the great Metropolis update plan, Constantinople is the second phase, following Byzantium. According to medium.com, the second phase will be implemented until October 30th this year and will come with some improvements. Among them, the update will increase efficiency and lower transaction fees. As the team behind the Ethereum project had stated, the update will result in a higher level of scalability to the project. The Ether Company wants to keep up with the competition, since the EOS project managed to get in the spotlight in 2018, after raising more than $4 billion in its yearlong ICO. It is also worth to mention that Constantinople is the final half of the protocol that will lead towards a transition from Proof-of-Work (POW) towards Proof-of-Stake (POS). The POS it’s being viewed as more suitable for a future that is decentralized. As opposed to the POW, the POS is executed by miners which need to put a predefined number of coins on a particular block in order to check transaction blocks. The Ethereum updating process includes two other packages, one is EIP 1014 which is assumed to add state channels and EIP 1052 which will compress the way channels interact. It seems like the Ethereum network will go through profound changes in the near term. Currently, on the second spot by market cap, the cryptocurrency must take strong measures in order to keep up with the industry and come with brand new features that will further enhance the system. Ethereum the Ethereum platform had been the birthplace for a lot of blockchain-based companies since it allows developers to write their own codes on the network. It will be interesting to watch whether these updates will manage to further increase its dominance and reduce the lost ground against Bitcoin. Regulatory measures could also play a major key, but currently, Ethereum is not seen as a security by the Securities and Exchange Commission in the United States. Can Cryptocurrencies Reach New Record Highs?